← Science Caturday: Rocket Cats! The character Doc in John Steinbeck’s novel Cannery Row is based on marine biologist Ed Ricketts, who had a small lab in Monterey. This fact was one of the first things I learned when I took a behind the scenes tour at the Monterey Bay Aquarium, located on Cannery Row. 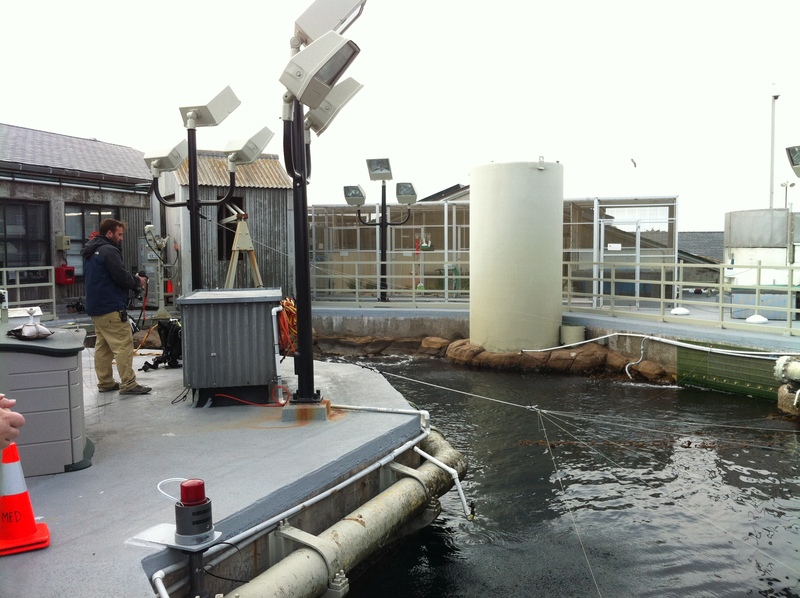 The aquarium is housed in former Hovden Cannery, which was an active cannery until the early 1970s. Now, the entire neighbourhood of Cannery Row has been converted to a tourist destination, and the former canneries are shops and restaurants. And an aquarium. There is a more direct connection between Ed Ricketts and the aquarium: The layout of the aquarium, grouping species in exhibits based on their natural ecosystem, was informed by Ricketts’ work Between Pacific Coasts. For example, there’s the Kelp Forest, a tall aquarium with hypnotizing swaying kelp, among which fish and leopard sharks swim around. It’s all just like natural habitats. Well, almost. 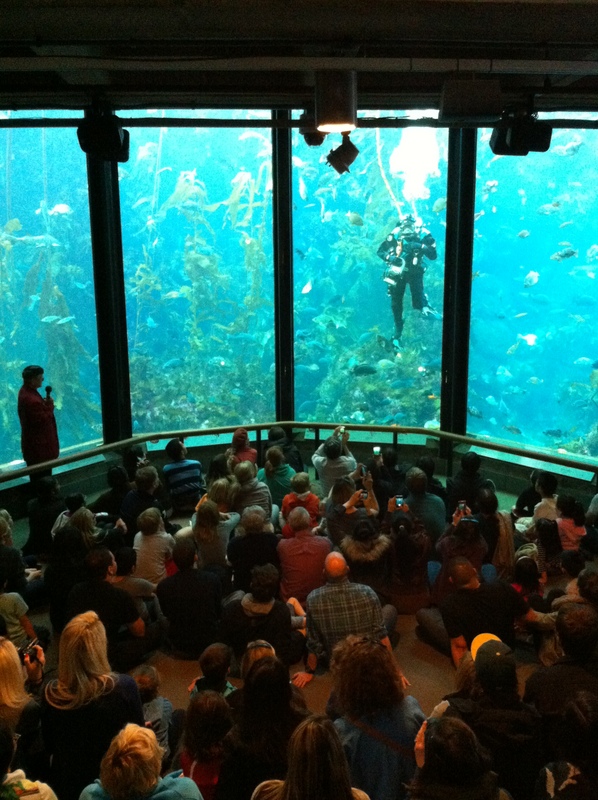 At feeding time, a diver goes down into the Kelp Forest tank to hand feed the fish and sharks, while communicating with the audience via a microphone in his suit. 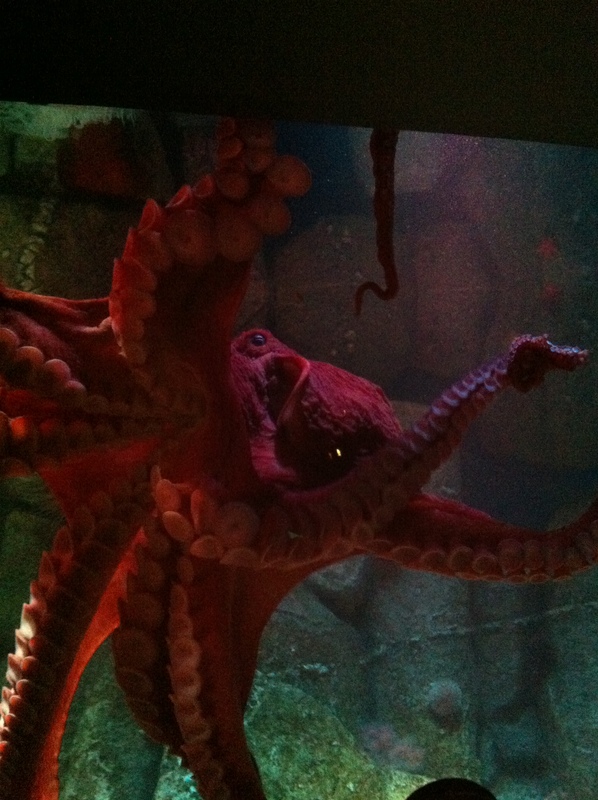 The behind the scenes tour was a fantastic way to learn more about the aquarium and the animals that are kept there. While the giant octopus and the otters are amazing enough, learning about the toys and puzzles they get is even more interesting. 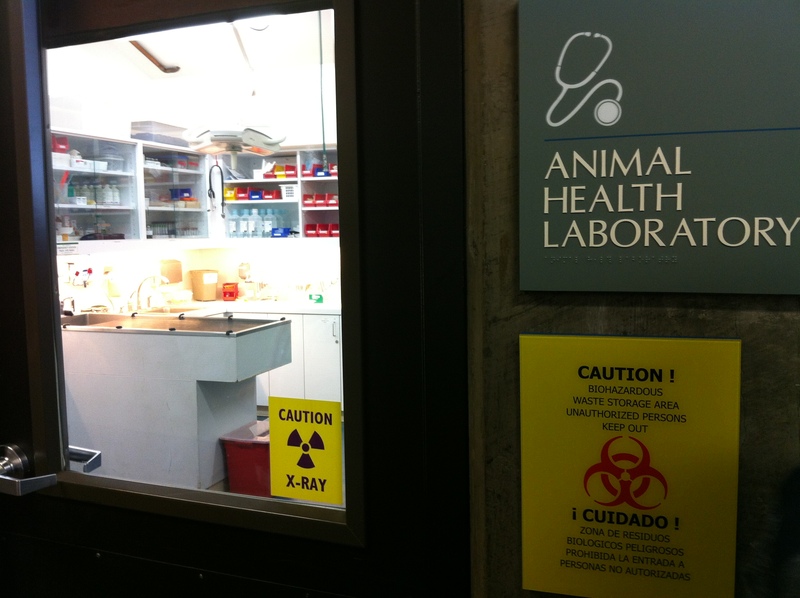 We also saw the vet’s office, the kitchen, and several other parts of the aquarium that are normally hidden from view. The behind the scenes tours are offered twice a day, and you need to book them ahead of time, but they’re more than worth the extra fee. It had been recommended to me by Erika, when she heard I was planning on visiting the aquarium. She also gave me an assignment to recreate a photo, which prompted a quick detour to the children’s area just before going home. So, in case you were wondering, that’s what scientists do when they visit one of the world’s most famous aquariums: they look behind the scenes, and pose for silly pictures. 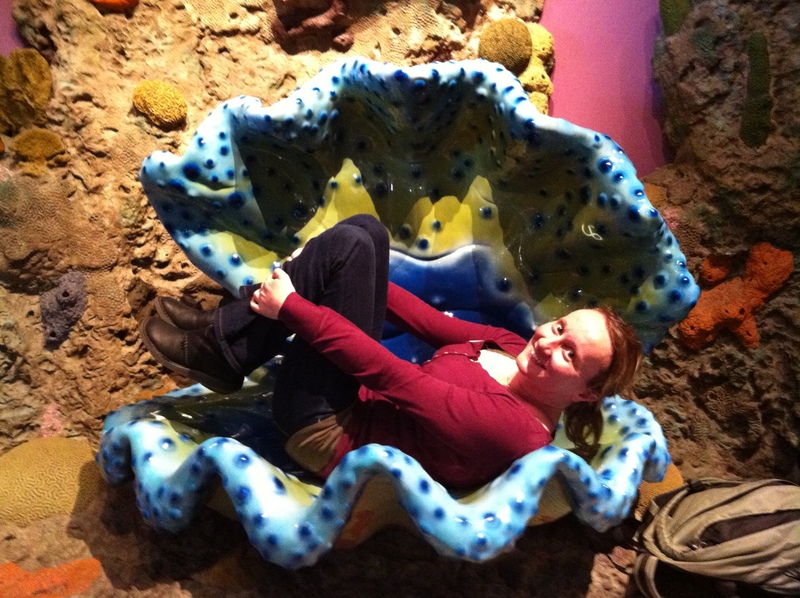 This entry was posted in Have Science Will Travel and tagged aquarium, Monterey Bay Aquarium. Bookmark the permalink.